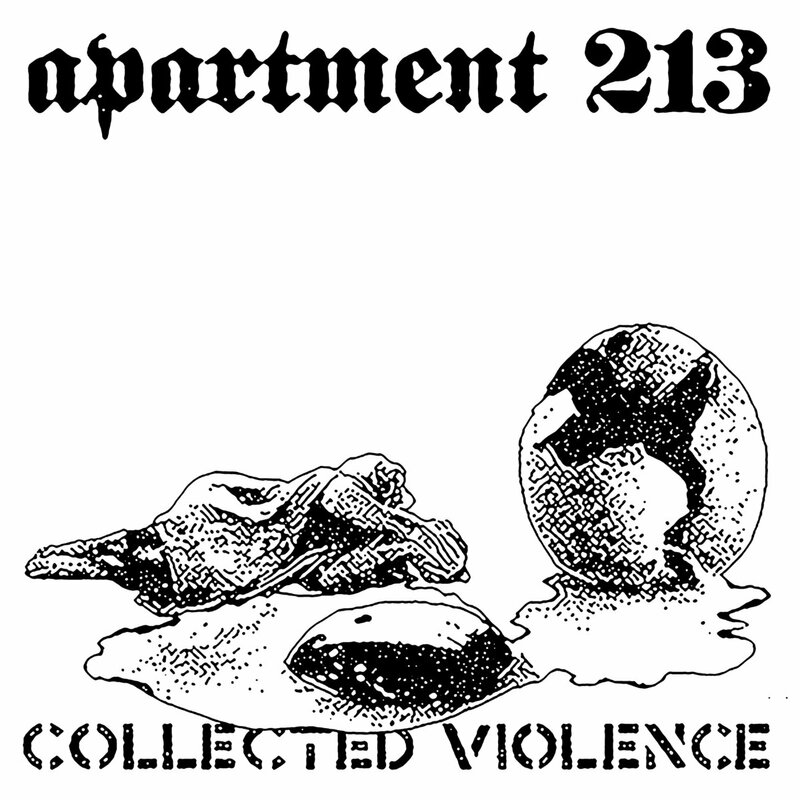 There’s no two ways about it: APARTMENT 213’s "Collected Violence" is an entirely excessive and unrelenting amount of material. 47 songs in length, there are few humans built to endure such constant ferocity. Such is powerviolence. 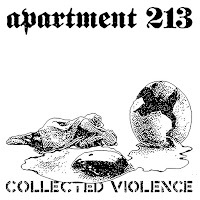 APARTMENT 213 got started in Cleveland, Ohio in late 1993 and was most active during the initial five years as a band. While a formal cessation was never announced or planned, extended breaks became fairly normal for the band. After a couple of split 7”s in 1998, it would be another eight years before the band’s only proper full length 'Cleveland Power Violence' came to light, followed by a split LP with AGORAPHOBIC NOSEBLEED called 'Domestic Powerviolence' a year later, and then another three year break before issuing 2010’s split 7” with NOTHING IS OVER and a compilation appearance featuring a few other new tracks. 'Collected Violence' contains everything prior to 'Cleveland Power Violence' (which is available as a standalone title from Magic Bullet Records) and the 2010 material (split with NOTHING IS OVER and "This Comp Kills Fascists Vol. 2" songs). The AGORAPHOBIC NOSEBLEED split is also a standalone release (available via Relapse Records).